Every wedding couple is seeking unique ideas for their big day. Searching for favors or thank you gifts that reflect their personality and decor is sometimes a difficult task. We’re inspired by Jaclyn Peters Designs, where each favor box or bag is custom designed in your choice of colors and embellishments. 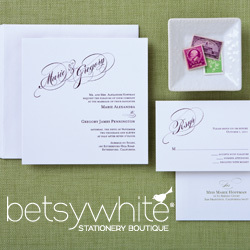 Each design is sure to “wow” your guests and accent your table scapes. A two in one thank you gift, your guests will be sure to keep and use their favor box long after the celebration has ended. Aqua And Black Feather Rhinestone Buckle Favor Box. Available in your choice of color box, rhinestone buckle shape and feather colors. 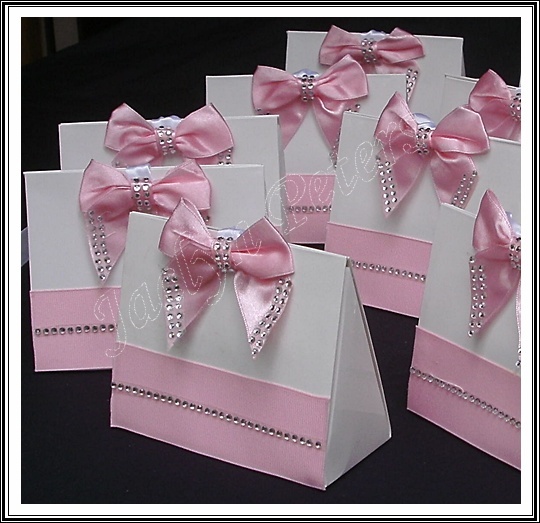 Custom Pink Satin Bow Rhinestone Purse Favor Box. Select Your Purse Color And Satin Bow Trims. 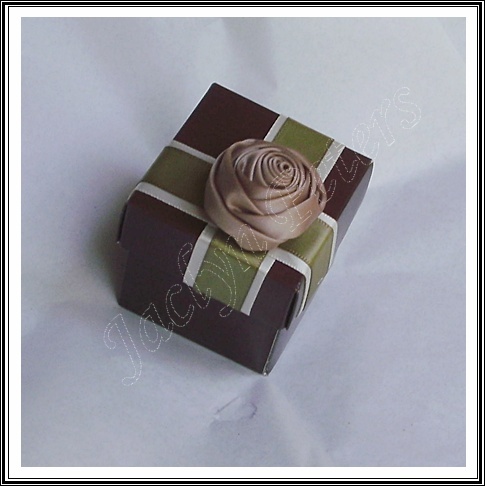 Custom Colors Elegant Satin Rose Gift Wrap Favor Box. A new Fall 2012 arrival. 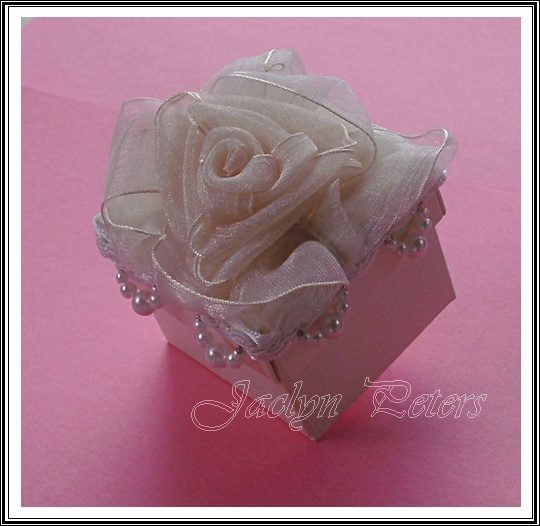 Custom Organdy Rose And Pearls Favor Box. Organdy roses and pearls create a vintage feel. 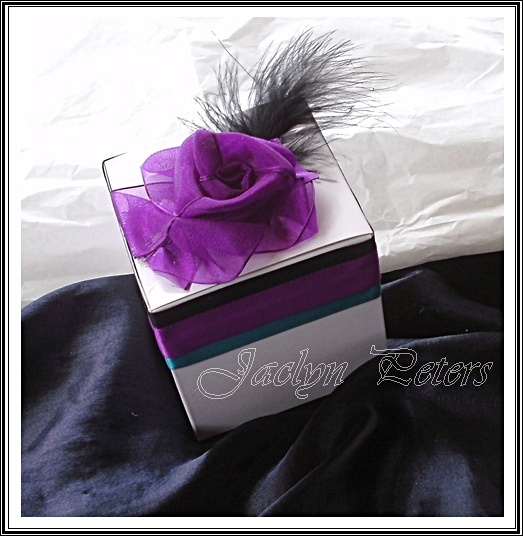 Custom Organdy Rose Feather Favor Box. The color combinations are endless on this stunning design.